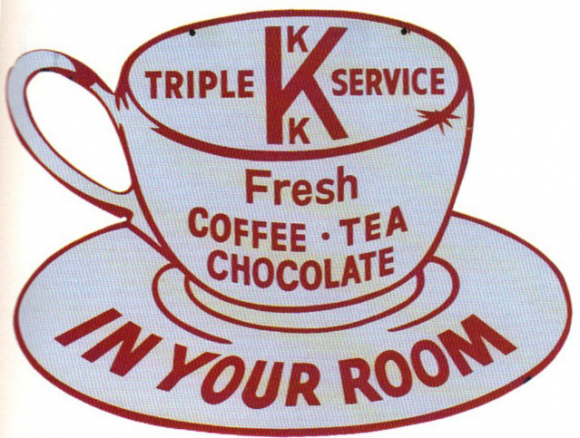 This is a die-cut Triple K Service porcelain sign. This particular Triple K Service sign is shaped like a cup and saucer. It reads, “Triple K Service, Fresh Coffee, Tea, Chocolate, In Your Room” in red and white.